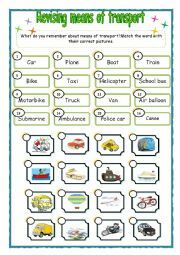 It is a matching activity in which students can revise what they have learned dealing with transports. 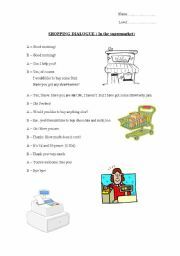 Because of the document´s size this worksheet it is not 100 editable, but if you need the editable version, just ask me!! Thanks and enjoy it! 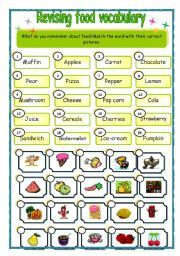 It is a matching activity in which students can revise what they have learned dealing with food. Enjoy it! A perfect activity to work in pairs. 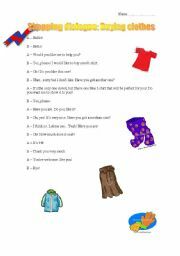 Students can have a role-play betwenn the shop assistant and the customer and they can act infront of the other partners. A worksheet of the parts of the house and furniture. Specially designed for very young students. A perfect activity to work in groups. There are three or four groups depending on how many students are there in the classroom. 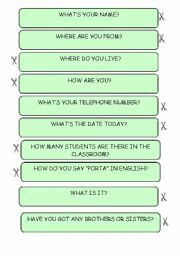 The teacher will give a set of questions and answers to each group. 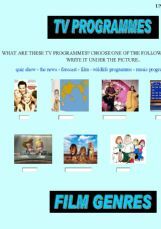 The first group who finishes matching each question with the correct answer will win. A role-play about videogames. The characters are the father and the teacher of the student, who likes playing videogames instead of doing homework or studying. This is a fill in the gaps song by Mike Posner. 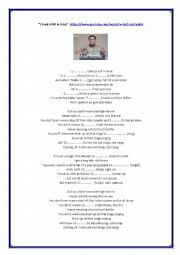 The students have to complete the song using the correct verb tense of the verbs in brackets. The answers are included in the second page. 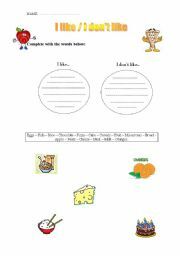 A suitable worksheet for young students. The students have to say what they like to eat and what they don´t like. I have prepared this presentation on the one hand in order to learn the members of the family, and on the other hand to do a previous activity before watching one of Peppa´s video. Choose the correct word or write the word of these school objects. 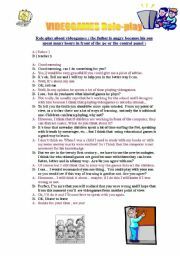 A quiz to check the previous knowledge of our students concerning the topic of animals.